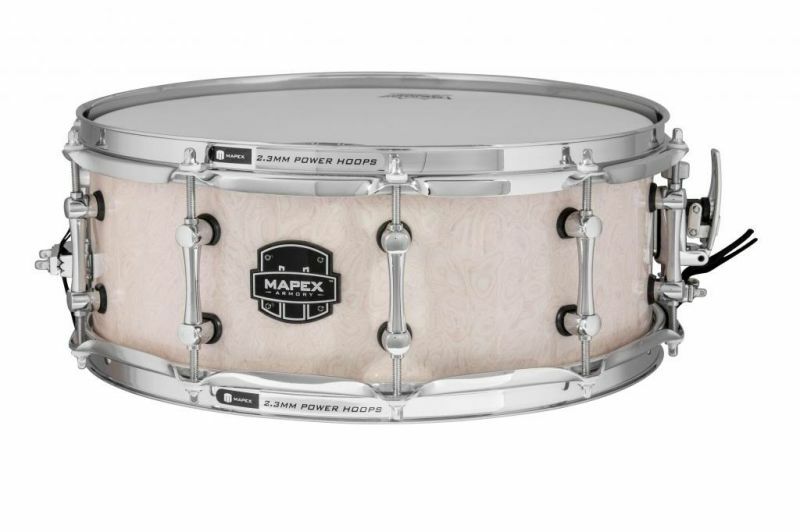 The Mapex 'Peacemaker' Hybrid Snare Drum features high-quality 7ply Maple/Walnut hybrid shells for a sharp and penetrating tone which will cut through any other sounds within a band. With chrome hardware and an attractive antique ivory finish, the Peacemaker features a SONIClear 45 degree bearing edge alongside a piston strainer with vertical throw-off. Ideal for a range of drumming styles and genres, the Mapex Peacemaker Hybrid Snare offers exceptional performance compared to other drums in the price range.